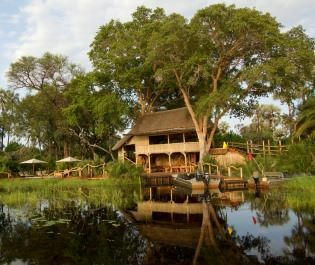 Surrounded by lush floodplains and a sparkling lagoon, andBeyond Nxabega Okavango Tented Camp truly embodies the authentic, rustic safari vibe we just can’t get enough of. 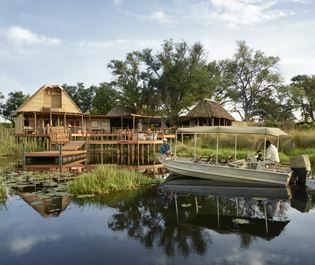 From phenomenal views of the Okavango Delta to exciting water activities, this tented lodge is nothing short of spectacular. You’ll quickly fall in love with the nine raised suites, all located in a secluded area. 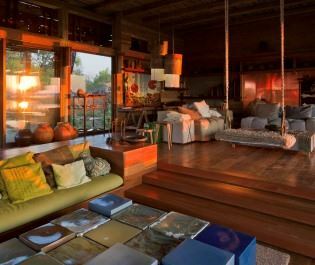 Raised on wooden platforms, the clear canvas ‘windows’ provide incredible views, whilst the private sala is perfect for a lazy afternoon of wildlife watching. Two interconnecting suites can create a family suite. The main areas always take our breath away, from the azure swimming pool and the traditional boma, to the country-style main lounge and the romantic decking area adorned with idyllic lanterns. 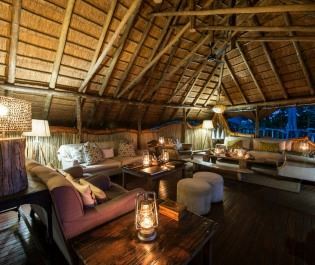 Made from local timber and thatch, the lodge will offer you that desirable safari ambience. 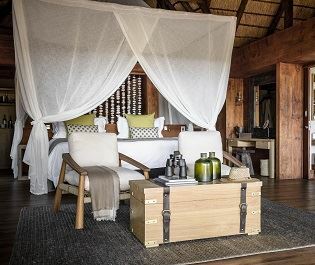 After a leisurely morning in your private sala, this luxury lodge is host to a variety of unique activities, from tranquil mokoro safaris, to powerboat rides through the delta – and with spotted hyena, leopard, cheetah and over 450 species of birds making this area their home, there’s no doubt you’ll have a trip to remember. 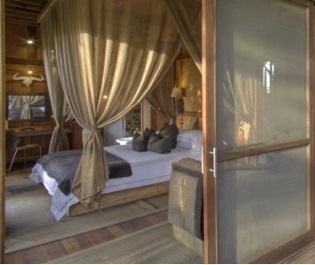 Dotted along the Bora River, this luxurious camp offers incredible experiences, including walking with elephants. Sanctuary Chief's Camp really hones in on the rustic, comforting experience, from the beautiful pool, to eating pizza by the campfire. 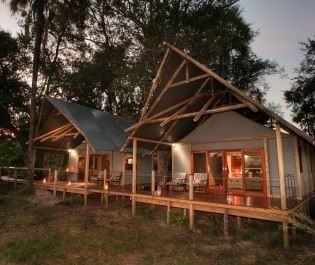 Designed to look like a pangolin from above, the spectacular architecture is one of many reasons why we love this lodge. 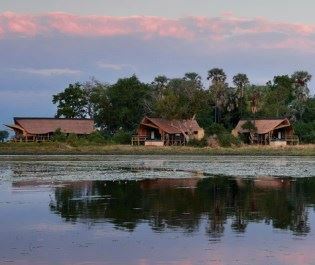 An exclusive tented camp offering an African elephant riding experience plus decadent accommodation and thrilling Okavango safari activities. 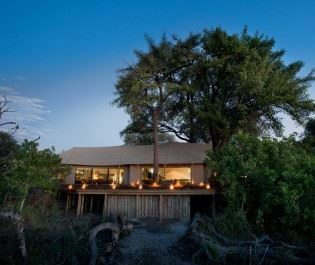 Exceptional game viewing sets this camp apart, revealing the best of the Okavango in an exclusive concession; the classic tented accommodation is also excellent quality. 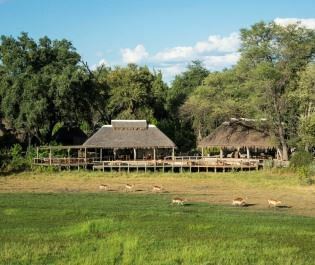 Outstanding year round game viewing make this secluded tented camp an immersive stop for land-based safari in the Okavango Delta. 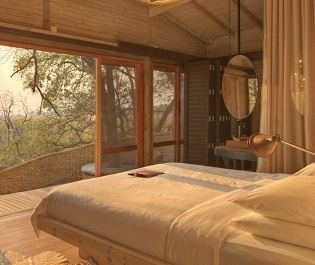 Lavish lodge in an idyllic piece of the Okavango; perfect for a relaxing safari interlude and a chance to appreciate the subtle beauty of the Delta. 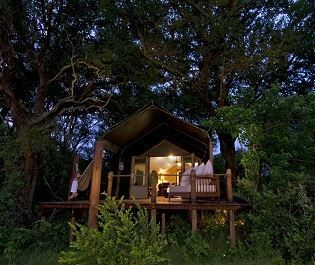 You can truly get back to nature at this charming camp, with private salas hidden amongst the trees, and cosy bomas overlooking vast landscapes. 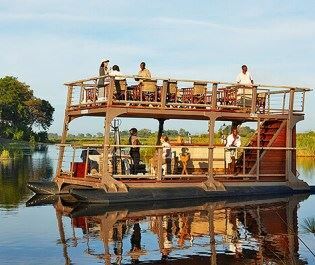 Enjoy an iconic Okavango Delta experience with water-based safari activities and a charming camp that’s surrounded by water. 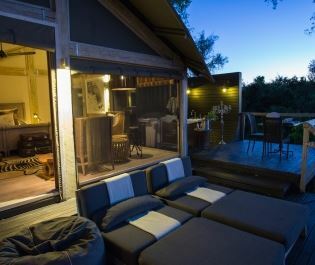 An intimate luxury camp overlooking a floodplain in the Jao Concession; great for a relaxed and eclectic Okavango safari. 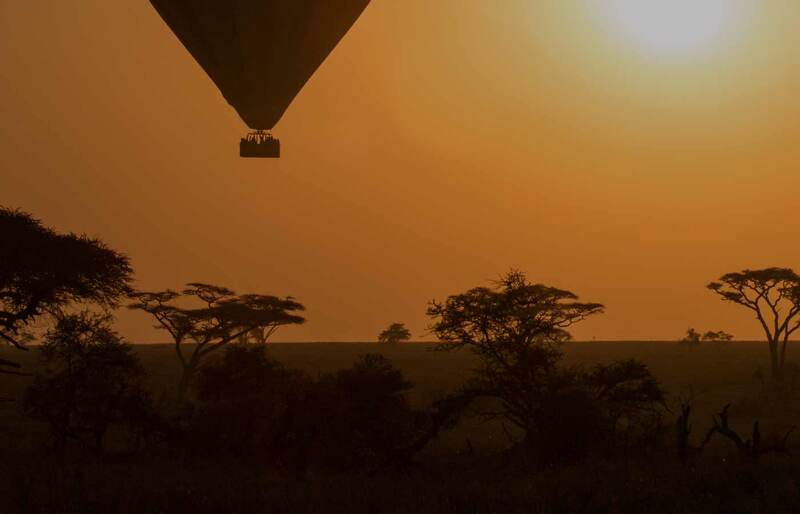 Exclusive and secluded tented camp set in a stunning private concession; offers a varied safari experience and is perfect for groups or families. 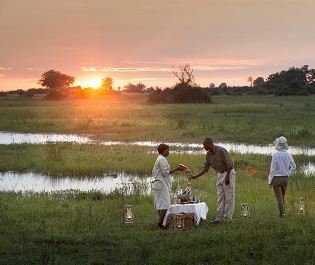 Set in the heart of Moremi Game Reserve, this excellent value camp provides an intimate and exhilarating wildlife experience. 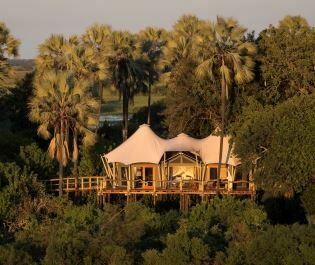 Flagship luxury camp in a private concession with exceptional guides and opulent accommodation; more expensive than other camps but worth it. 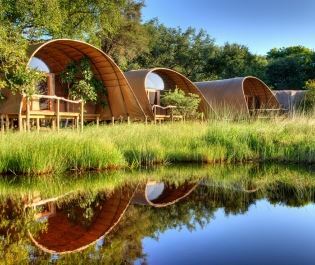 One of Botswana’s oldest and most luxurious lodges, offering beautiful accommodation in the game-rich heart of the Okavango Delta. 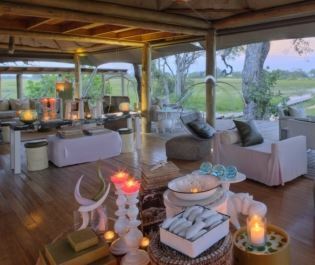 xclusive-use private villas in the wildlife-rich Selinda Concession; we think it’s perfect for safari exclusivity that combines luxury with intimate animal encounters. 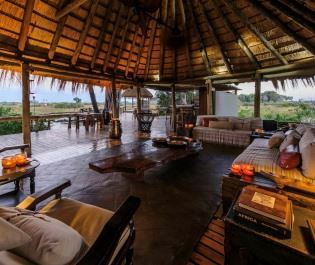 Traditional safari camp set in an abundant concession, very close to Moremi Game Reserve; offers beautiful safari and is one of the best in Africa for families. 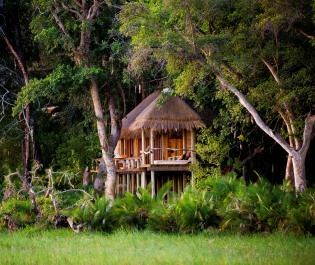 A comfortable and secluded camp in the legendary Vumbura Reserve, offering varied activities and lots of big cat action; this is a real gem. 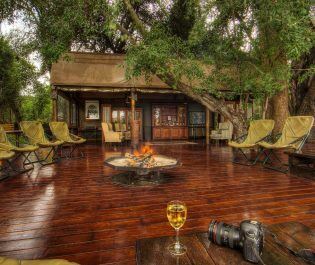 Blending outstanding wildlife with chic and luxurious accommodation, this intimate lodge creates one of Africa’s finest safari experiences. 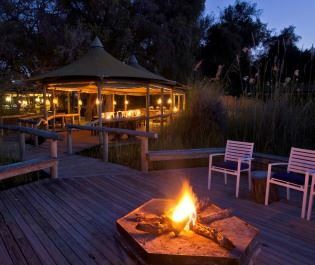 A relaxed and romantic lodge that’s ideal for recharging the batteries and exploring a remote part of the Okavango Delta. With only three tents, it doesn’t get much more intimate than this. 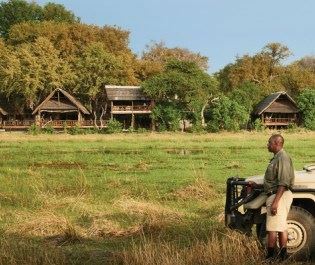 We love to spend our days in the private salas, watching giraffe and buffalo graze. Perched on a private island, we always feel like royalty here, and there are plenty of extra little touches to make your stay extraordinary. 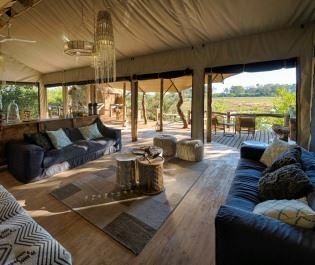 A classic luxury tented camp inspired by the 1920's explorer era, Duba Plains offers an intimate experience where you can be as secluded or as sociable as you like. Welcome to a world full of elephants, primates, predators and adventure - and one of our favourite spots to enjoy a jaw-dropping river safari. 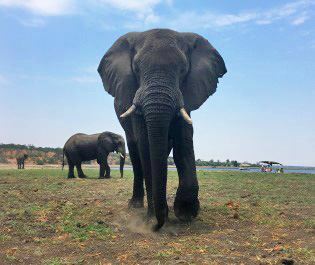 Blending Chobe's verdant woodland with Okvanago's expansive floodplains, the Linyanti Wetlands offers incredible wildlife sightings at many different angles. 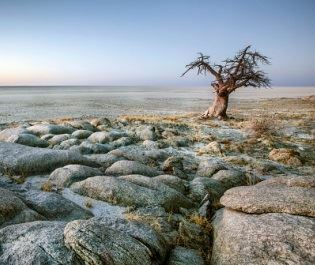 With a scene of never ending salt pans dotted with stark boabab trees, Makgadikgadi Pans' uniqueness always takes our breath away.